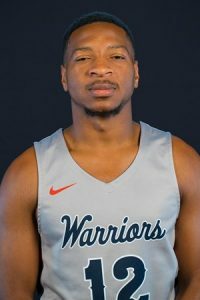 After posting the 6th-highest single-game scoring mark in program history, Lewis-Clark State point guard Damek Mitchell has been named the Frontier Conference Men’s Basketball Player of the Week. The 5’ 9” sophomore from Bellingham, Washington poured in a career-high 39 points in the Warriors’ 99-95 setback Saturday in Havre, Montana. For the weekend Mitchell scored 59 total points in two games. He connected on 21 of 36 field goals and made of 10 of 15 three-point shots while sinking 7 of 11 free throws.